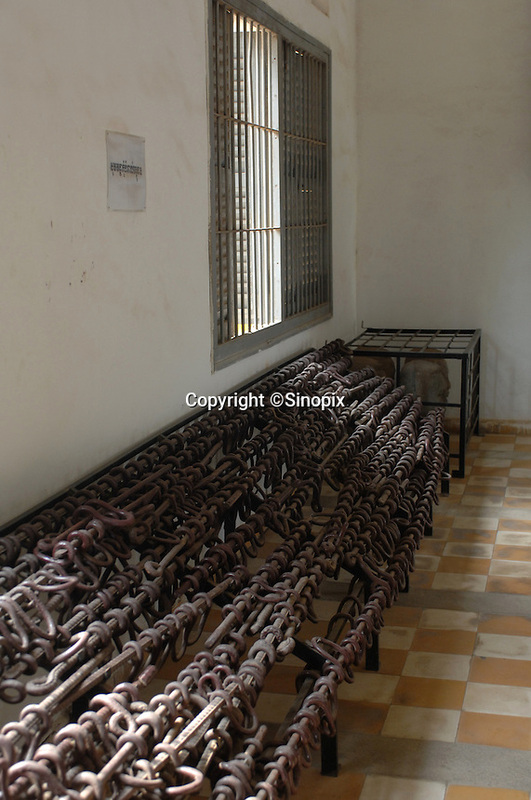 Steel locks used to chain victims who were eventually executed in S-21 or Tuol Sleng prison in Pnom Phen in Cambodia. The Cambodian Genecide of 1975 - 1979 where over 1.7 million were executed outside Phnom Penh, Cambodia, 30 October 2007. Kaing Guek Eav know as duch the commander of the torture house known as S-21 or Tuol Sleng prison was put on trial yesterday 21 Nov 2007 after 28 years.